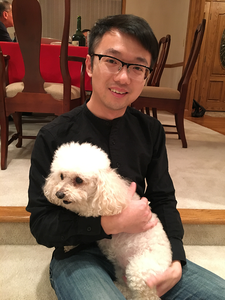 Dr. Wei Liu worked in ZJU-UIUC institute as an Assistant Professor from October 2017 to January 2019. He has conducted research on simulation and measurement of airflow and contaminant dispersion in enclosed spaces, such as buildings and airplanes. His Ph.D. thesis topic was inverse design of air distributions in enclosed environments. Wei has published 36 journal papers. He was a recipient of an ASHRAE Grant-in-Aid Award, won the first prize in an ASHRAE computational-fluid-dynamics shootout contest, and was a Bilsland Dissertation Fellow at Purdue University. Liu, W., Zhao, X., and Chen, Q. A novel method for measuring air infiltration rate in buildings. Accepted by Energy and Buildings, 2018. Liu, W. and Chen, Q. Development of coarse grid generation methods for fast fluid dynamics in simulating indoor airflow. Accepted by Journal of Building Performance Simulation, 2018. Liu, W., You, R., Zhang, Jie., and Chen, Q. Development of a fast fluid dynamics-based adjoint method for the inverse design of indoor environments. Journal of Building Performance Simulation, 2017, 10(3): 326-343. Liu, W., Jin, M., Chen, C., You, R., and Chen, Q. ­Implementation of a fast fluid dynamics model in OpenFOAM for simulating indoor airflow. Numerical Heat Transfer, Part A: Application, 2016, 69(7): 748-762. Liu, W., Jin, M., Chen, C. and Chen, Q. Optimization of air supply location, size, and parameters in enclosed environments through using a CFD-based adjoint method. Journal of Building Performance Simulation, 2016, 9(2): 149-161. Liu, W., Duan, R., Chen, C., Lin, C.-H., and Chen, Q. Inverse design of the thermal environment in an airliner cabin by use of the CFD-based adjoint method. Energy and Buildings, 2015, 104, 147-155. Liu, W., Zhang, T., Xue, Y., Zhai, Z.J., Wang, J., Wei, Y., and Chen, Q. State-of-the-art methods for inverse design of an enclosed environment. Building and Environment, 2015, 91, 91-100. Liu, W. and Chen, Q. Optimal air distribution design in enclosed spaces using an adjoint method. Inverse Problems in Science & Engineering, 2015, 23(5), 760-779. Liu, W. and Chen, Q. Current studies on air distributions in commercial airliner cabins. Theoretical & Applied Mechanics Letters, 2013, 3(6): 1-5. Liu, W., Wen, J., Lin, C.-H., Liu, J., Long, Z., and Chen, Q. Evaluation of various categories of turbulence models for predicting air distribution in an airliner cabin. Building and Environment, 2013, 65: 118-131. Liu, W., Long, Z., and Chen, Q. A procedure for predicting pressure loss coefficients of duct fittings using CFD (RP-1493). HVAC&R Research, 2012, 18(6): 1168-1181. Liu, W., Wen, J., Chao, J., Yin, W., Shen, C., Lai, D., Lin, C.-H., Liu, J., Sun, H. and Chen, Q. Accurate and high-resolution boundary conditions and flow fields in the first-class cabin of an MD-82 commercial airliner. Atmospheric Environment, 2012, 56: 33-44. Liu, W., Mazumdar, S., Zhang, Z., Poussou, S., Liu, J., Lin, C.-H., and Chen, Q. State-of-the-art methods for studying air distributions in commercial airliner cabins. Building and Environment, 2012, 47: 5-12.